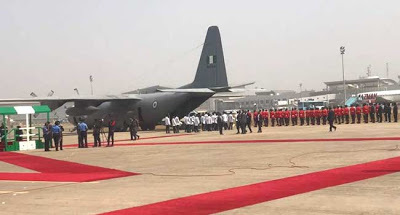 Photos: Alex Ekwueme’s body arrives Nigeria – Royal Times of Nigeria. The remains of the former Vice President, Alex Ekwueme has arrived Nigeria. 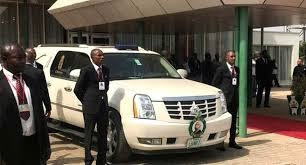 It arrived at the Presidential Wing of the Nnamdi Azikiwe International Airport, Abuja today. The body was flown in from London. Those who received his body are his family members, cabinet members and top government officials. A parade of honour was also held for him.